Last year's Atlassian acquisition has helped grow the number of third-party applications connecting with the collaborative work management tool. The ability to hook into a range of other applications has become a key facet of team collaboration platforms, as vendors seek to become the hub of workplace productivity. With that in mind, collaborative work management platform, Trello has been rapidly growing the number of apps that integrate with its software since its $425 million acquisition by Atlassian last year. There are now 82 Power-Ups available to customers, including integrations with Google, Dropbox and Github; that’s up from 33 prior to the acquisition. As the number of partner apps has grown, however, users are finding it more difficult to discover the integrations they need. Previously, all apps were grouped in a single list that was sorted alphabetically, with little in the way of preview information, the company said. While that organization worked when there were only a handful of Power-Ups, it hasn’t scaled with Trello’s recent growth. A redesigned directory, available today, is designed to make it easier for end users to access Power-Ups from Trello’s app store. Power-Ups are searchable and grouped into categories such as automation, analytics and support. “The new directory will be a great step forward in helping grow both the developer ecosystem but also helping our users discover all the things that the Power-Up platform can do,” said Hamid Palo, Trello’s head of platform. 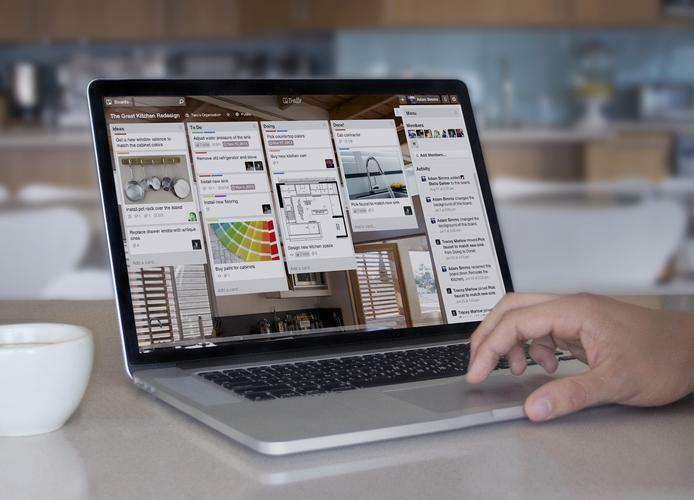 “For teams that use Trello as the central focus of their collaboration, this is a welcomed addition,” said Gartner research director, Larry Cannell. Cannell said that integrating other applications into a central team workspace reduces the need to “switch context,” and helps users keep on top of information that is pertinent to their role. Palo added that the Atlassian acquisition was a key reason for the increased number of applications integrating with Trello. It follows from work with Atlassian’s partners such as Invision, Figma, Smartdraw and Spartan through its parent company’s App Week developer incubation program. Integration with a variety of software tools has been a particular strength for Atlassian. The Atlassian Marketplace – an app store for its other collaboration products such as JIRA, HipChat and Confluence – now has more than 3,500 apps and has generated more than $350 million in sales since launching in 2012. Atlassian posted its latest financial results last week and said it had added 5,000 new customers in the quarter, and now has 112,000 customers in 180 countries.